You slump into your chair. Sustainability is key to your business, yet efforts to bottle this elusive ideal have so far cost more than they’ve saved. 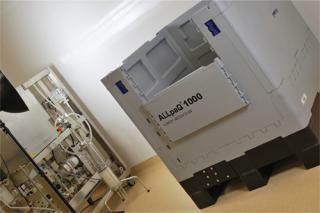 “How can a sustainable bioprocess container solution enhance my business?” you ask. You regain your posture, intrigued to hear more. The presentation begins. What do we mean by business sustainability? Does it simply refer to your bank balance? Business sustainability encompasses that and a whole lot more. It is felt across every aspect of your venture. From supply chain to production processes, from external partners to the wider environment, sustainability involves all stakeholders in your business. As such, successfully integrating sustainability within your organizational strategy requires engagement, not only at management level, but also with everyone else involved in the process. Like a fondue fountain, sustainability should trickle down and immerse all stakeholders in decision-making. When we consider fluid handling in line with business sustainability, we need to think outside of the proverbial bioprocess box. Gone are the days of simply deciding how to shift a ton of liquid from point A to point B. Sure, that is a primary objective, but like a beautiful music chord, many complex notes sound within. To enhance sustainability, fluid containment must be handled with the precision of a concert pianist. Factoring in issues such as occupational health, safety management systems, space optimization, and operator handling allows for the formation of a streamlined containment strategy. This methodology is what sets ALLpaQ apart. It is the heartbeat of all that we do. We factor in the needs of all your stakeholders when designing a bioprocess solution. This is how we enhance efficiency and business sustainability. Whether you require single-use or multiuse; collapsible, stackable, cleanable, practical, or plain containment, the complete range can be customized to your organizational needs. The projector powers down, and the boardroom lights switch back on. You sit back in your chair, pondering the events that have just unfolded. Phill Allen is director of ALLpaQ Packaging Ltd., Office Suite G27, Europarc Innovation Centre, Innovation Way, Grimsby, Lincolnshire, UK DN37 9TT; 44-1472-800-373; enquiries@allpaq.com; www.allpaq.com.